We offer up to 10 email accounts included with your website hosting. Our email is not the best that you’ll find out there. We use it, so it’s fine but many of our clients go and get their own email service with another host. We only offer POP3, not IMAP. With POP3, email is downloaded and not kept on the server. Most people with smart phones now want IMAP. We do not offer an SMTP (outgoing) server – we only offer incoming. We do not have webmail. You need an email program like Outlook, Thunderbird or Apple Mail to manage email. One of the most vital aspects of running a business is having your email set up correctly so that it’s easy to use. We understand that but we also have to limit our scope since there are so many ways to set up email. Webstix is responsible for giving you an inbox with your email account – what you do with it from there is up to you. You may use desktop computer email or email on a tablet or smart phone. This page is meant to give you help with those settings. Webstix just provides POP3 account (no IMAP accounts – learn about POP3 vs. IMAP) and we do not provide an outgoing (SMTP) server. It’s good email for small business and we use it ourselves but if you use a lot of Outlook features, then you’ll need an Exchange server. Email can be set up many different ways. It all depends on how you’re using email and how your business is set up. Keep your email hosting where it is. Use a Hosted Exchange (Outlook) server. If you don’t have one, we suggest contacting Direct Networks in Madison. To use a Webstix POP3 email account, you should use a program/application on your computer like Outlook, Thunderbird or Apple Mail. We do not provide webmail anymore (where you use your web browser to login and check your email like GMail or Hotmail). The scope of our service is to provide you with an email inbox where your email can gather. How you pick up that email will be something you need to set up and configure yourself. Above, we mention an IT company that can help you if setting up email is too difficult for you – and, like we said, this page is here to help you try to do this on your own. We clean off email on the server that has been there for 60 days, so please make sure you do not store any email you want to keep (this is why POP accounts work best since you download email to your computer). Please read our Hosting Terms & Condtions. If you have forms on your website or have a website with a shopping cart/e-commerce, then we highly suggest you don’t get too “creative” with your email. For the best results, have your email accounts also hosted on our servers and then pick up your email from our server directly (use an email program on your computer). That way, there’s no extra filtering going on, which can sometimes block email from our servers and then you don’t get notified of sales and leads. Keep it simple. And you should never solely rely on email for important messages. Check (login to) your website daily for order and leads to ensure that you get them. Should I Use Thunderbird or Outlook? Does Webstix Provide Information Specific to my Email Program or Mobile Device? Regretfully, we’ve had to set a policy where we do not allow our users to forward email under their domain to another email account. The reason we have to do this is pretty simple… if there is spam/junk email coming into these accounts and this junk email gets forward to an account at GMail, for example, then it appears to that email provider that our servers are generating that spam email. When that happens, our servers get put on email blacklists. It’s bad to be on those lists because websites we host that need to send out important emails like receipts for store purchases or leads from their Contact Us pages cannot go through. This then creates a lot of problems. 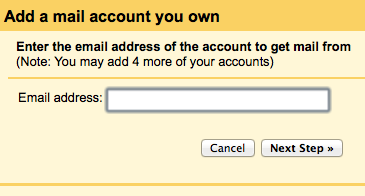 Instead, you may be able to set up an account at these providers to “fetch” email from your account. That way, you still get your email where you want it. Here are instructions for doing this at GMail. Other providers may have this service as well and you should contact them to find out how to set that up. Leave a copy of retrieved message on the server. The other options are up to you. Once you set it up, it’ll say “Checking…” If successful, you will see a message soemthing like this appear within a few minutes: “Last checked: 2 minutes ago. 122 messages fetched.” You may need to go into another setting and then come back to this page to see it refresh. Note: When you set this up, it seems that Google tries to figure out how often it needs to fetch mail from your POP3 accounts. How often depends on how often you check email. After a few days, you should start seeing this email come in when you need it but give it a little time. At Webstix, we do not provide you an SMTP server (sending / outgoing server) for a number of reasons (some of those reasons are explained below). Normally, your ISP (Internet Service Provider – the people that provide your Internet connection) gives you an SMTP server to use but sometimes they do not. More and more of them are not providing it any more. Yahoo! Mail Plus – I have used this service for a few years now and I like it. I have a Yahoo email account but you don’t have to use Yahoo’s SMTP server just for that email. I use it for my webstix.com email account as well and people can’t tell the difference. Since I use a laptop, this is ideal for me because I don’t have to constantly change SMTP servers when I change ISPs / networks. You just set it and forget it, really. Get more info on Yahoo’s Mail Plus SMTP service. SMTP2Go – This is similar to Yahoo’s SMTP service and about the same price but with this service you are limited to sending just 50 emails per day unless you go with their corporate plan. They claim to provide SMTP (email sending) service worldwide. They have a free trial of their services. Configuration is easy. I’ve tried this one, too, and it works well. It’s fast. Jango SMTP – This is one we found that’s free and seems to work well. You can send up to 200 emails per month for free (which might not be enough for some people). If you don’t send a lot of email, then this could be a good solution for you so that you can easily send email from your computer. Note: Webstix does not do support for TDS, Google, Yahoo or any other SMTP service. Please contact them if you have any questions. This information is just here to point you in some possible directions that we think will be helpful to you. If you’d like to have more features with your email and if you’re comfortable with the services Google provides, then you may be interested in the Google Apps for Work (Business) program. If you choose Yahoo! Mail Plus (which we suggest), then here’s a page with some instructions. There are number of reasons. For one, we’d need to have a dedicated server just to handle SMTP. That’s an additional cost because there’s monthly costs and maintenance that would need to be done. We’d also incur other technical / labor costs to make sure we have the right email sending policies in place (comply with government regulations), keep copies of all sent messages through our server (per federal government regulations), monitor the server to make sure we stay off spamming blacklists and other details. This is easily the job of 1-2 full time people. To keep costs low, we’ve decided to just refer our clients to other services and companies that are already set up with the correct infrastructure. It makes sense to refer or outsource that kind of service. We’re sorry if this causes you an inconvenience, but we feel this is the best decision both for us and our clients. It seems like companies like major Internet Service Providers are even getting out of the SMTP server business for similar reasons. Even at the Webstix office, we cannot use our own servers for SMTP, we use the services mentioned above – so it’s not unusual that we do not provide this – not at all. It’s best to choose an SMTP service provider that specializes in doing SMTP. Another advantage is that if you use a laptop, you don’t have to keep changing your SMTP server settings if you use a dedicated, third party (mobile) SMTP service provider – from wherever you travel. They will have reliable service (quick delivery), can be used from anywhere and they have strong relationships with the major email providers to make sure your emails get through and don’t end up on spam lists / blacklists. It’s important to understand the difference between an Internet Service Provider (ISP), website host and IT support company. We’re a website hosting company (as well as a website design company, of course). We provide the space on the server for you and give you the settings. We’ll do our best to help you get your email set up on your computer (which works fine for most of our clients) but sometimes people need more help getting their email set up on their computer. 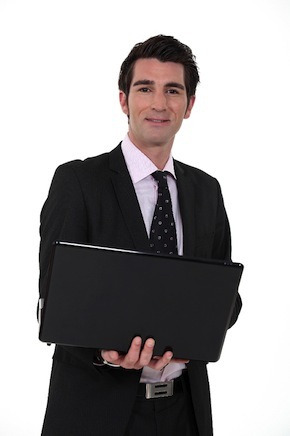 That extended help is where you would hire an IT company or computer support company to help you. ISPs or DSL/cable TV companies have these type of people on staff (and may even come out to your home or office) but Webstix does not do that. Again, we give you the settings for the space we’ve created for you and do our best to give you some help. We mainly focus on keeping our servers up and running so that you can access your email and so your website stays running. It’s up to you. Both work. If you use other Microsoft applications or your company requires Outlook, then you should use Outlook. I like Thunderbird – it works fine. If you use iCloud on Apple/Mac, then I would suggest sticking with Apple’s Mail program because everything integrates really well. Here are the settings to use for your email program. You will need to know which server your email is on. Please contact Webstix for your specific settings to use. mail. [yourdomain.com] (where “yourdomain.com” is your domain name. Do not use an SSL (secure) connection to receive email. You should be using port 110. Your name (which you know already – this is your real name, not your username or “Me” or something like that). The server type – for Webstix, choose POP3. Your username (in our case, your email address is your username). Your SMTP server name. Your SMTP server may also require a separate username and password). Do NOT choose SSL or secure email or secure ports for your incoming email server. Your outgoing/SMTP server may be SSL/secure though – you need to get your SMTP server settings from whichever provider you choose. Use port 110 for your incoming server (again, do NOT choose “Use SSL”). Do not use the sort of walk through “wizard” in Outlook (or even other email programs) that try to detect your settings. Try to manually configure your new account – otherwise, it may assume things like SSL, which tries to connect to the wrong port and then it’ll fail and give you an error. The information listed above is what you’ll need. There are a lot of email programs and mobile devices and we could not possibly keep up with each one and with every new version that comes out, sorry. We’re kind of like the phone company where we provide you with the phone line (access) but it’s up to you to configure your fax machine or whatever you’re using. Once we start hosting your email, the next thing to do is change DNS. We need it to point to our DNS servers. It’s probably best to do this at the end of the day because, what will happen is, DNS will be updates and then it takes anywhere from 2 to 8 or even 24 hours to propagate through the Internet and take effect. What’ll happen is, you’ll have email gathering on the old server and the new server. We suggest changing DNS near the end of the day. Then, in the morning, check email one more time with your current settings. This should clear off any email from that server. Then, change your email settings to grab email from our server and you should be able to keep those settings going forward. There is still a small chance that some email may still gather on your old email hosting. Ideally, you’ll want to make the DNS changes on a Friday night and then come in Monday and make the change. That way, you’re sure all email is off the old server.